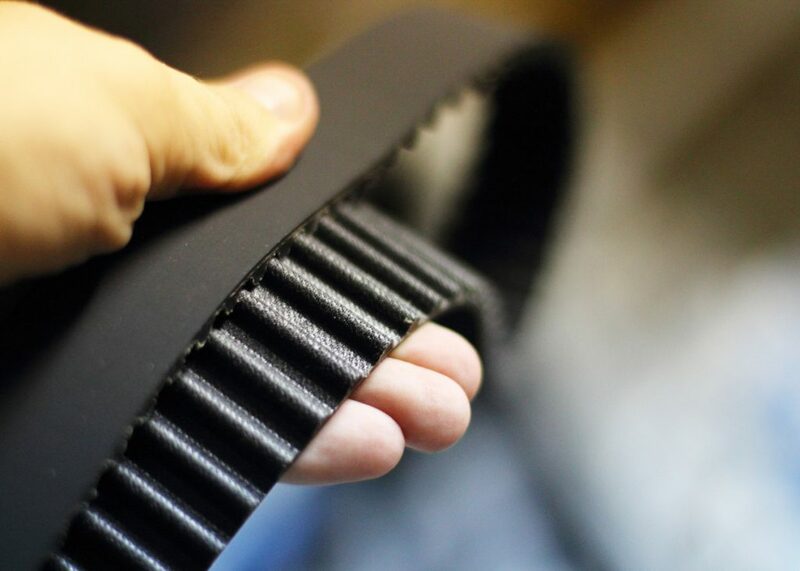 While often overlooked, timing belts (AKA a ‘timing chains’ or ‘cambelts’) are actually incredibly important to the functionality of your engine. Timing belts are responsible for synchronizing your engine’s valves during the cylinders’ and exhaust ports’ conduction. Everything must be in sync for combustion to occur and make forward propulsion possible. In terms of lifespan, timing belts typically last anywhere from 30,000-50,000 miles depending on the make and model of your vehicle. There aren’t any warning signs for a problematic timing belt unfortunately so be sure to check your owner’s manual for the recommended change-out interval or give us a call at (248) 668-1200 and we can look it up for you. A broken timing belt will lead to a nasty breakdown for your car as your motor will be out of sync and pistons will crank at improper intervals and cause serious damage to the engine. In the event that pistons and valves collide, your entire engine might need to be replaced. Timing belts are made out of rubber and is exposed to a lot of stress in a hot environment so wearing out is inevitable. When they’re replaced, the procedure needs to be done by an ASE-certified technician to ensure that valve and piston movements are totally in sync. If you have any questions about your timing belt, swing by our shop at 490 North Pontiac Trail in Walled Lake or click HERE to schedule an appointment if you think it’s time for a new one!